The general cargo ship Bellatrix stuck on reef in Aegean Sea off Lesvos island in Greece. 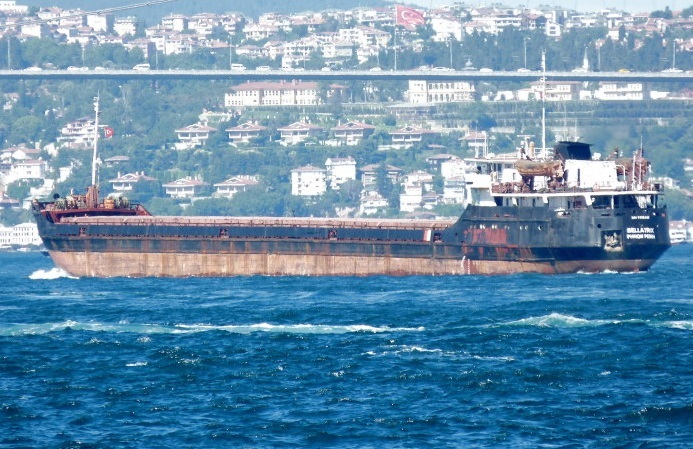 The vessel was en route from Mykolayiv to Izmir with cargo of grain, but during technical failure left the fairway and ran aground into the rocks north off the Greek island. The cargo ship suffered breaches and started getting water ingress and received list, but without immediate danger from capsizing. The accident was reported to the local authorities and Greek Coast Guard, which sent patrol boats and rescue teams at the scene. The grounded general cargo ship Bellatrix was surrounded by oil booms with length of 250 m, in order to prevent any oil leak and water pollution. 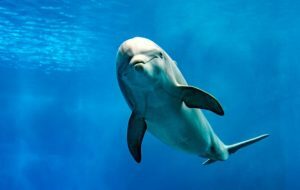 Divers were sent to inspect the vessel’s hull and propulsion system and it was estimated that the rudder, propeller shaft and the propeller were not damaged. The breach of the hull is sufficient, but affected only ballast tanks. The refloating will be considered after further assessment of the situation and patching of the breach. The local authorities initiated investigation for the root cause of the accident. Fortunately during the grounding none of the 12 crew (9 Ukrainians and 3 Georgians) were injured. The patrol boat of the Coast Guard remained on site for assistance if needed. 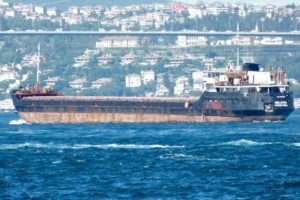 The Port Authority Mythimna ordered special survey and safety inspection of the cargo ship after refloating. The general cargo ship Bellatrix (IMO: 8230405) has overall length of 114.00 m, moulded beam of 13.00 m and maximum draft of 4.50 m. The deadweight of the cargo vessel is 2,893 DWT and the gross tonnage is 2,457 GRT. The ship was built in 1978 by Zavody Tazkeho Strojarstva in shipyard in Komarno, Slovakia.